We have the technology. We have the data. But it will take smart humans to build smart cities. Smart Cities! The very term evokes a Jetsonian optimism, a utopian promise that the city around us, and all the beeping, flashing, communicating components within, will soon be working – intelligently and independently – to make our lives better. That’s not the case. It’s not even the goal. Despite the expanding capacity of technology in almost everything we touch, Artificial Intelligence cannot yet make our cities smart on their own. Which is okay: the utopian city is not smart, but livable – safe, healthy and equitable; efficient, innovative and prosperous; and, for everyone’s benefit, sustainable. And if livability is the target, the instruments are there at our disposal. Thanks to Information and Communication Technology (ICT) and the embedding of technology in physical devices that are connected to a greater network (the internet-of-things or IoT), we now have an unprecedented selection of sensors, counters, calibrators and data collection points that can make us smarter about managing our cities. With this new trove of timely and accurate information, we can do a better job in planning, modelling and building all manner of infrastructure and services. And using technology that can harvest, analyse and respond to data in real time, we can manage traffic and transportation systems, power plants, water supply networks, waste management, law enforcement, information systems, schools, libraries, hospitals, and other community services, even as we support social innovation, economic growth, and sustainable living. Obvious examples often involve counting vehicles or tracking their movement so you can find the least congested route or the nearest parking spot, or cue the traffic light to turn green in your path, reducing pollution and saving time. But everything that can be done for cars also works for people with smart phones, helping to schedule everything from café line-ups to doctors’ appointments – elements of “crowd control” that can also work for service providers of all types. Then there is the potential of chatty infrastructure, everything from dumpsters that call for service when they are full to bridges that report when their supports are twisting beyond capacity. So, there is enormous potential – some of it already being realized – but there are two challenges to getting the most from the smart city promise, and both are being pursued and advanced at UBC. The first challenge is technical: How do we identify, invent and/or maximize the capacity of all the technological instruments and data management protocols that can make us smarter about our cities? The second challenge speaks more directly to policy and might be considered managerial – or, perhaps, ethical: If we are actually talking about smart people, rather than smart cities – if the driving force in the smart city movement is the collection and concentration of information – who gets to accumulate, curate and protect that knowledge? And how do we ensure that the knowledge is used to benefit all citizens and not just those with privileged access to the data? Again, the easiest example of ICT-driven smart city capacity can be found in and through the smart phone. Tap the Google Maps app, any time of the day or night, and it will offer a choice of routes and range of transportation options on almost any journey in virtually every city in North America. It will even tell your trip time, based on everything from bus schedules to traffic congestion. As such information becomes more widely available, and as more people make use of it, we have an opportunity to optimize the capacity of all of our transportation systems. But, Tran says, even before urging citizens to use information and infrastructure efficiently, we can use data to improve planning. It’s the first of three core areas of competence at Tran’s lab: Data-driven Scenario Planning. In transportation, for example, Tran says the history of planning was “non-precise.” Urban planners had little choice but to guess at future conditions based on past trends and on estimates generated out of paper-based annual surveys that were full of holes and sampling errors. Today, when it comes to planning roads, bridges, public transit, or electric-vehicle charging stations, we have access to so-called “big data” – an amount of information so huge that, even a short time ago, it would have been unmanageable. If we are actually talking about smart people, rather than smart cities – if the driving force in the smart city movement is the collection and concentration of information – who gets to accumulate, curate and protect that knowledge? And how do we ensure that the knowledge is used to benefit all citizens and not just those with privileged access to the data? That leads to the Urban Predictive Analytics Lab’s second core competency, which is Predictive Modelling and Simulation. The researchers build advanced management systems to collect, curate and process massive data sets, leveraging high-performance computing to predict future urban scenarios. These are among the capacities that make possible research such as the $10-million Canada Foundation for Innovation (CFI)-sponsored project Beyond Traffic: Clean, Connected and Safe Transportation Testbed. Led by Professor Walter Merida, with Tran as a co-investigator, Beyond Traffic will use the UBC campus as a city-scale living laboratory that links transportation, energy, ICT, and urban design. Using high-performance computing for data curation, visualization and analytics to optimize energy use, carbon reduction, and facilities planning and operations, the goal is to transform the UBC transportation system from a collection of passive and distinct entities into a coordinated network of people and technologies. The CFI funds will enable the purchase of new infrastructure that UBC can use to test renewable energy storage and deployment (both hydrogen and electricity), and to trial the next generation of wireless digital communication protocols for connected vehicles and related greenhouse gas emissions – all with an eye to developing strategies that can be shared with communities around the world. The Urban Predictive Analytics Lab’s third core competence is Evidence-based Policy Analysis, which gets directly to the challenge of connecting the technology to the policy makers, to better inform investment decisions in the private and public sectors and to optimize positive societal and environmental outcomes. The latter is an area of significant interest to Tran, who has an environmental science background and did his PhD at Oxford on computational modelling and simulation in the uptake and deployment of electric vehicles in the UK. For Tran, smart city technology, while interesting in its own right, is secondary to the policy context and the imperative that the technology is used well. It’s a message that he plans to share via a new interdisciplinary undergraduate level course – Smart Cities: Concepts, Methods & Design – a starting this January. Open to students at the third-year level from any program, the course will provide an overview of key concepts, tools and frameworks to assess the sustainability impacts of smart cities, including urban metrics and indicators, big-data analysis, and applications in urban modelling and simulation. But before dipping into the technical detail, Tran says he will begin with a high-level policy analysis of current challenges facing cities around the world, including population growth, urbanization, social well-being, economic development and climate change. For Tran, smart city technology, while interesting in its own right, is secondary to the policy context and the imperative that the technology is used well. This creates obvious problems in areas such as privacy and security. At a societal level, we should know who is gathering information, what use they are making of it and how they are storing or sharing it, Tran says, adding that we need regulation at the local, national and pan-national level. We also need to educate the public about the capacity of smart city infrastructure – and reassure them that it is being used to their advantage. For an object lesson in what happens when you don’t keep the public in the loop, Trans suggests looking back at BC Hydro’s controversial role-out of its Smart Meter program, which met widespread resistance because there had not been a thorough and transparent discussion about the uses and benefits of the meters over the longer term. But with careful research and proper implementation, the potential is huge. 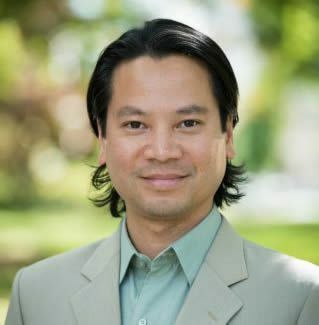 Other projects currently being run out of Tran’s lab include Transportation Futures, a collaboration with UBC’s Clean Energy Research Centre and the Pacific Institute for Climate Solutions to reduce greenhouse gas emissions in the transportation sector, which is the single largest source of greenhouse gas (GHG) emissions in the province. Another collaboration is with the Cascadia Urban Analytics Cooperative, an applied, interdisciplinary, regional centre that brings together academics, students and public stakeholder groups to address the resiliency, health and well-being of cities and citizens in the Cascadia region. Part of the Microsoft-funded Cascadia Innovation Corridor, this includes the University of Washington working with UBC on urban planning, population health, civil engineering, landscape architecture, sociology, real estate, computer science and law. A full list of Urban Predictive Analytics Lab projects is available here, but the conclusion seems clear: whether you’re waiting for a bus, a cup of coffee, a delivery or a specialist appointment; whether we’re trying to reduce energy use, save money or improve air quality; whether teenagers or tourists are searching for the best new thing or first responders are managing a city-wide emergency, the sensitive, responsive and communicative elements in every part of our urban environment can make us all smarter about our cities. Smart building materials. Innovative public art. Improved palliative care. These Researchers of the Year are developing new ways to improve their communities.